Chipper Videos: Blender 2.80 Tutorial: How To Use The File Browser In The Video Editor. Blender 2.80 Tutorial: How To Use The File Browser In The Video Editor. How to use the file browse. Add clips to the timeline tracks. A video editing tutorial. Blender 2.80 Tutorial: Basic Video Editing Using The Video Editor. A Blender Beginners Tutorial. Blender Beginners Tutorial: Basic Video Editing Using The Video Editor. Blender is one of the best free software/freeware editing packages available for Windows, Linux & Apple. The best video editing software package for slow computers. 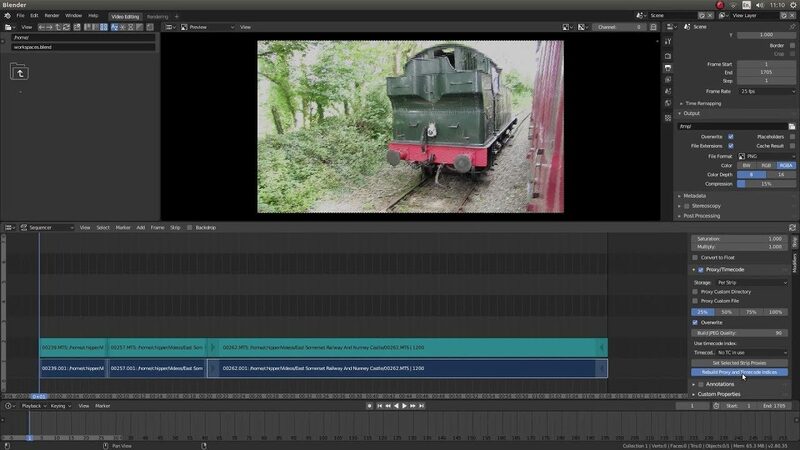 Blender features a fully functional, production ready Non-Linear video editor called Video Sequence Editor or VSE for short. Blender’s VSE has many features including effects like Gaussian Blur, color grading, Fade and Wipe transitions, and other video transformations.